“The Ending the Silence program is not about suicide. It’s about hope. It’s not about how bad things were. It’s about how good things can get.” Colleen O’Connor, Project Oz Prevention Specialist, explained during the discussion at Normal Community West High School, Normal, IL, about the Netflix television series “13 Reasons Why” and the topic of teen suicide. Part 1 of the 9-10-17 article in the Pantagraph may be found here. Part 2 of the 9-11-17 article may be found here. To teens grappling with depression or suicidal thoughts: “Don’t hold it in,” Jordyn Washer, now an IL State University senior, who previously confided in a close teacher which helped pull her out of the darkness of depression and self-harming when she was 15. Warning signs that a person may be contemplating suicide include talking or writing about hurting or killing himself or herself; looking for pills, weapons or other means of dying by suicide; expressing hopelessness; increasing risk-taking behavior such as through alcohol or drug use; giving away prized possessions; saying goodbye; withdrawing from friends and family; dramatic changes in mood; feeling no sense or purpose. Take the warning signs seriously. If you have an immediate concern, call 911. Ask the person if he or she is thinking about taking their life. Listen to them. Validate their feelings. Don’t leave them alone until the crisis has passed. Remove weapons or other possible means of dying by suicide. Tell the person that thoughts of suicide are common, don’t have to be acted on, that help is available and people care. NAMI Livingston/McLean Counties (ETS@NamiLivingstonMcLean.org or 309-287-9913). Sources: Kimberly Klepec, Tosha Maaks, Kristina McDowell, Mental Health First Aid USA, Colleen O’Connor, Adam Snell, Karen Zangerle. Are you willing to open your heart and your home to help keep young people safe and strengthen families? Temporary placement (1-3 nights) in the Host Homes program helps provide families with time to resolve conflicts and problems. When a situation has become more than a youth or family can immediately deal with, Host Homes provide a reprieve to the family that allows them time to work with our counselors and seek out resources and guidance in resolving the situation. Requirements: Willingness to provide a safe and welcoming temporary shelter for teens experiencing a family crisis. Host Homes can be any family size and employment status. Host Homes may be couples, singles, families, and retirees. All it takes is a spare bedroom and the desire to lend a helping hand. You don’t have to become a counselor. Project Oz works with the youth and family to help them build stronger bonds and happier homes. Host Home families receive training and have access to Project Oz staff 24 hours a day. How does it work? Host Homes in the program take turns being “on call” to receive youth, usually for a month at a time. 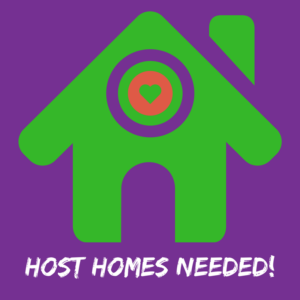 During that month, each Host Home generally provides 3-5 nights of shelter. Project Oz staff respond to crises at all times of the day, so calls for placement may occur outside of regular business hours. All Host Homes undergo licensing by the state, which requires a full background check on everyone 13 and older living in the home, an interview and site review, and completion of a 40 hour training course. Costs for training and licensing are paid by Project Oz. Host Homes receive a modest stipend for the months they are on call, in order to reimburse the costs of providing care. Interested in learning more about this program or becoming a Host Home to help keep families in our community together? Contact our Host Homes Liaison Anita Smith at Asmith@projectoz.org or call her at 309-827-0377. Summer days were anything but lazy for Bloomington-Normal high school students participating in Project Oz’s Learning & Leading program. This year, 33 students completed the 8 week paid internship program, with placements at State Farm, Country Financial, Growmark, and the Illinois Farm Bureau. 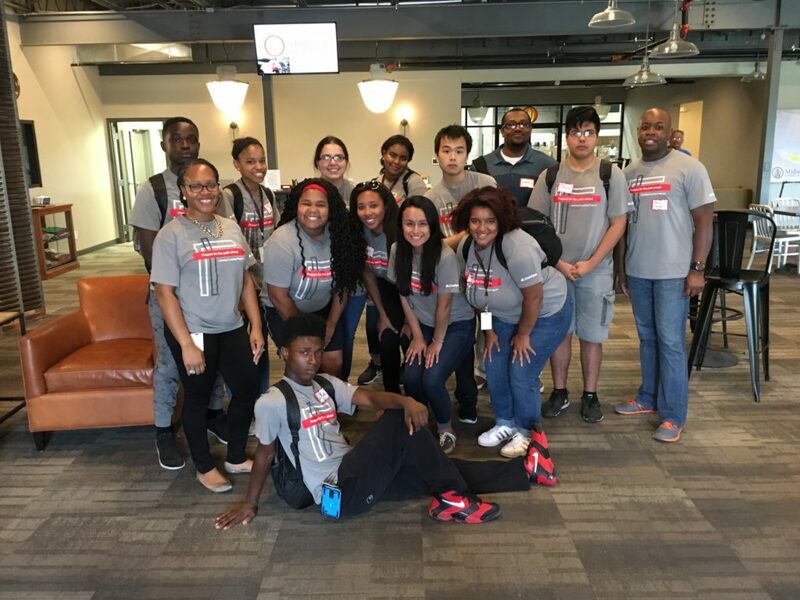 The program helps bridge the opportunity gap for low-income students and students from at-risk environments by empowering them with the skills, training, and work experience they need to succeed in college and a professional career. Prevention Specialist Colleen O’Connor, CADC, discussed the opioid epidemic and Project Oz’s upcoming Opioid Prevention Communication Campaign with WJBC on 7-11-17. Please listen to the interview here.